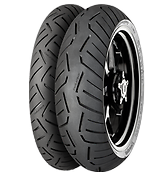 Completely newly developed sport and hypersport tire, which is setting new standards in handling and lean angle performance in both dry and wet conditions for all sports motorcycles. 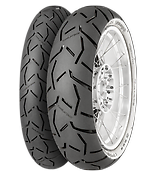 New TKC 70 combines the best of the TKC 80 off-road tire and ContiTrailAttack 2 on-road Adventure tire. in the MOTORRAD touring tire test (issue 12/2017). in the FASTBIKE sport tire test (issue 02/2016) and the MOTORRAD MAGAZIN (AT) supersport tire test (issue 06/2017). 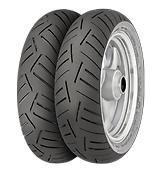 Our actual Delivery Range Motorcycle and Scooter Tires for download! Our new Continental racing tires flyer with a lot of helpful technical information for download!